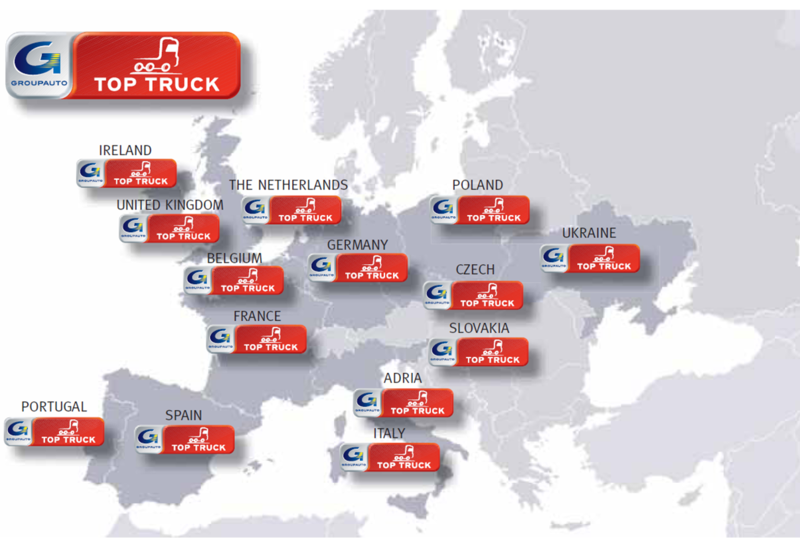 Covering 16 countries, the TOP TRUCK garage network is the largest independent network for trucks and trailers in the world. The GROUPAUTO garage network includes both EUROGARAGE and TOP TRUCK. The TOP TRUCK network brings together over 1338 workshops providing services for medium-duty and heavy-duty commercial vehicles. These services can be provided to individual vehicle owners as well as fleet managers. Our affiliation with GROUPAUTO provides our garage networks with direct access to 50 partner-suppliers of original-equipment (OE) parts and OE equivalent parts. This parts access, combined with industry-leading training and technical support, allows us to work on a broad-range of vehicles at a competitive price.